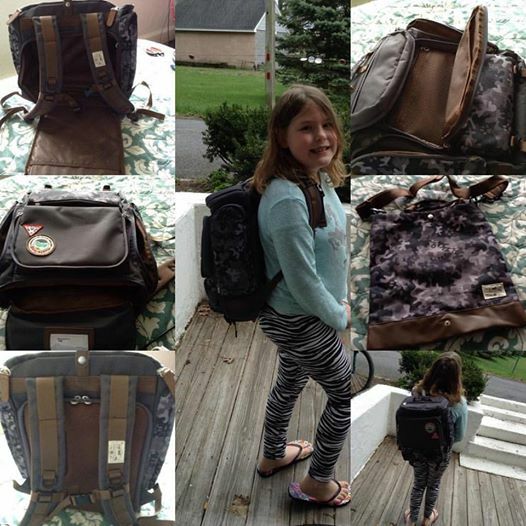 This Muster bag Kids Backpack is my daughters favorite new bag, which surprised me because I was only sent a traditional black camo instead of the pink that I thought she would like more. She takes this to school, wears it while riding her bike and even when we go on appointments. This bag is a hit with all of the possibilities from everything above to hiking, camping, scouts, etc. Lots of pockets, zip out padded seat, clasp close arm straps, and extra bag which my daughter uses for her swimming clothes or library books depending on day of week. Very versatile a bag to use for years to come. I am very happy with the quality and even with everyday use everywhere we go this bag still looks like new. The Muster bag Kids BackPack can be found in 6 colors on Amazon. Disclosure: MarksvilleandMe received one or more of the products mentioned above as part of a promotion with Tomoson and Muster bag. Regardless, MarksvilleandMe only recommends products or services we use personally and believe will be good for our readers. Some of the links in the article may be “affiliate links.” This means if you click on the link and purchase the item, I will receive compensation. If you would like MarksvilleandMe to review a product or service please contact us at marksvilleandme@gmail.com.